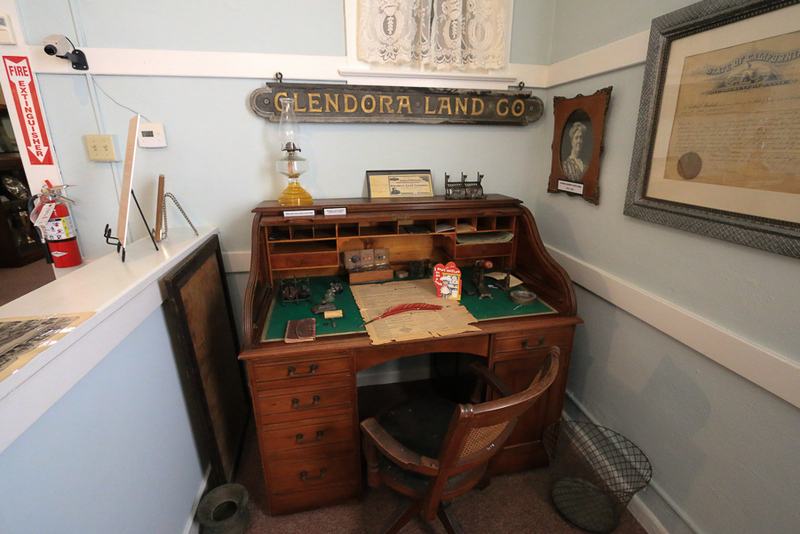 January 26, 2019 - Today we drove over to Glendora to see the Glendora Historical Society Museum. 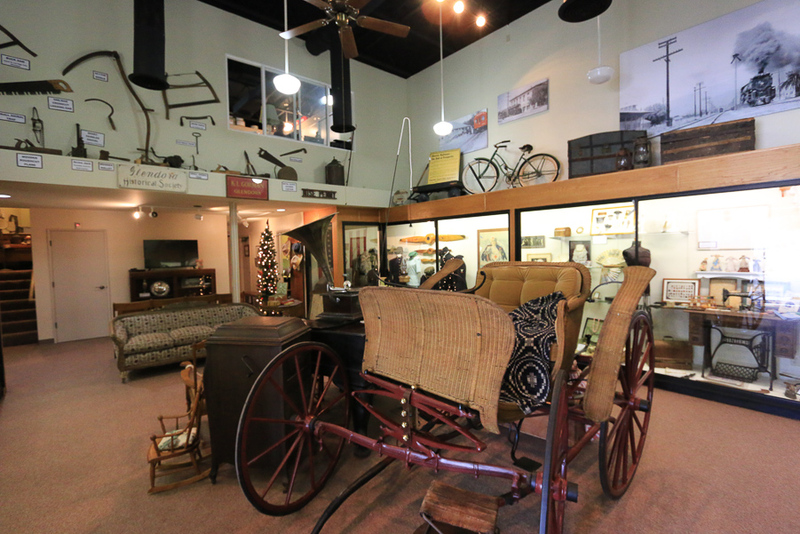 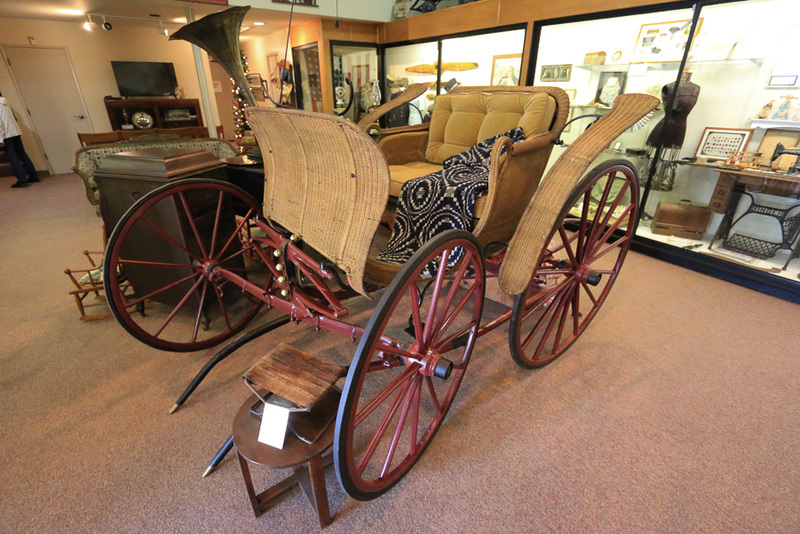 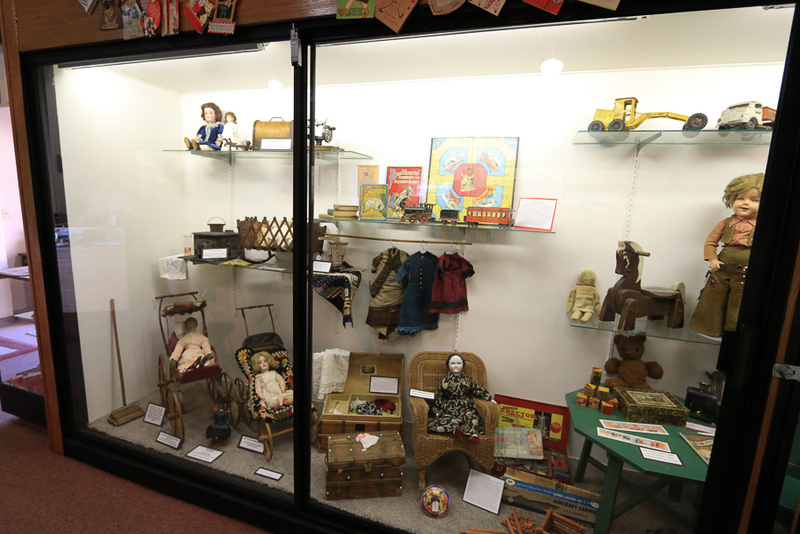 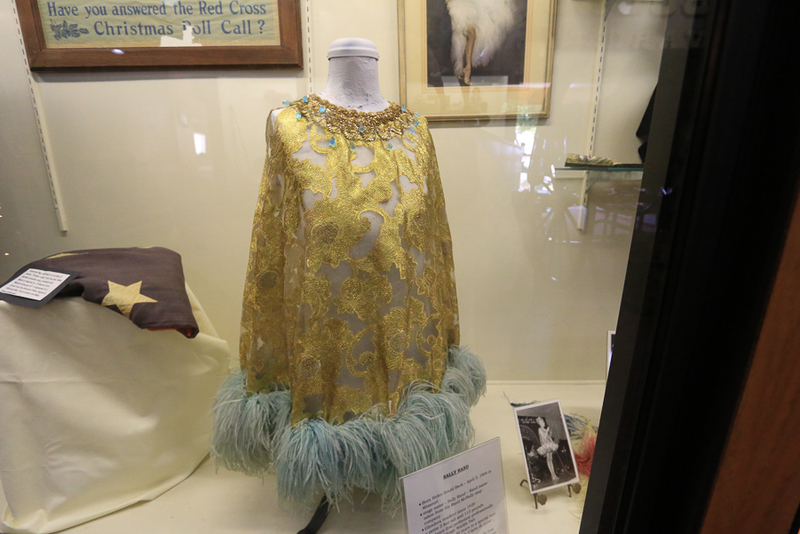 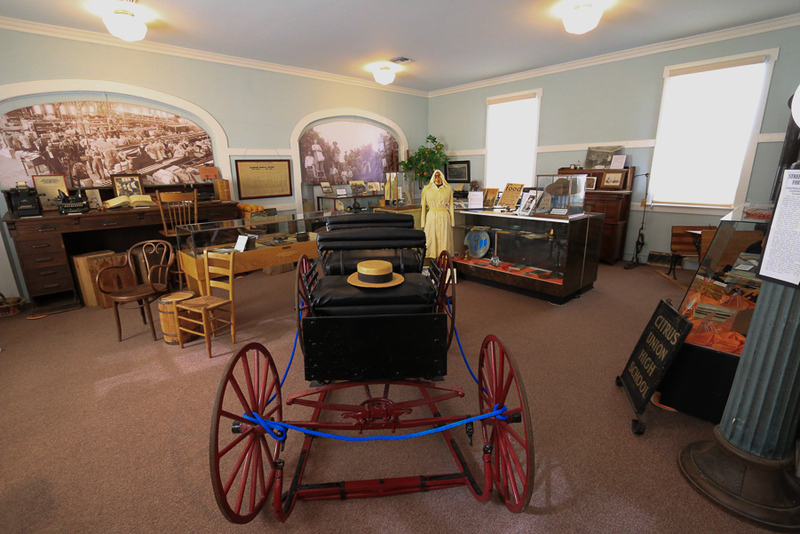 The collection at the museum is an eclectic assortment of items from the 1800's through the 1900's. 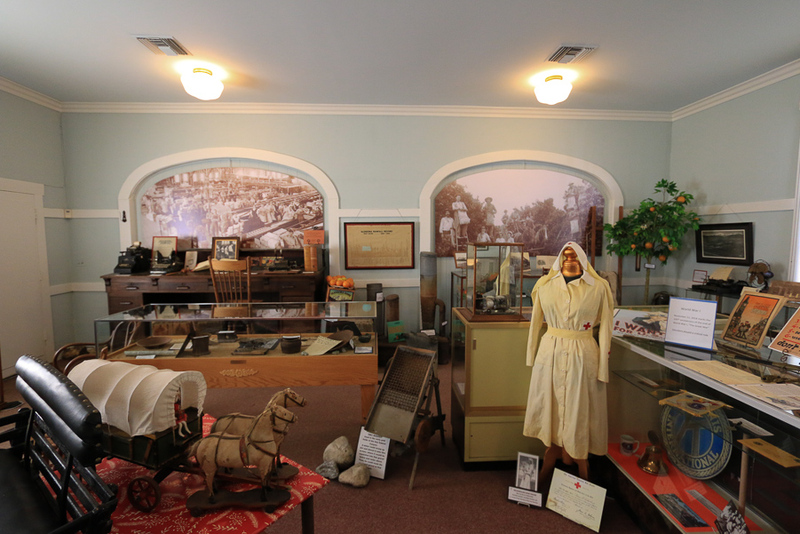 In 1952 the Historical Society leased the building at 314 Michigan Ave (now Glendora Ave). 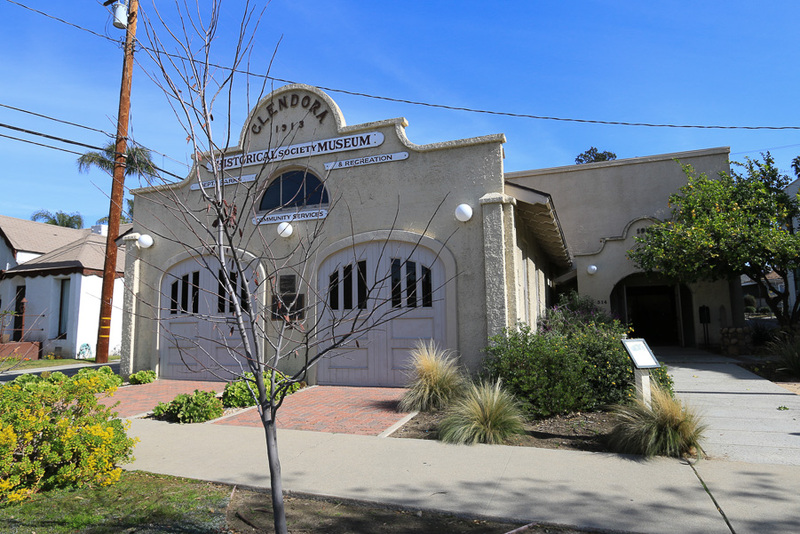 The small building was built in 1913 and contained Glendora's original City Hall, Volunteer Fire Department, and the city's jail until 1922 when the current City Hall was built. 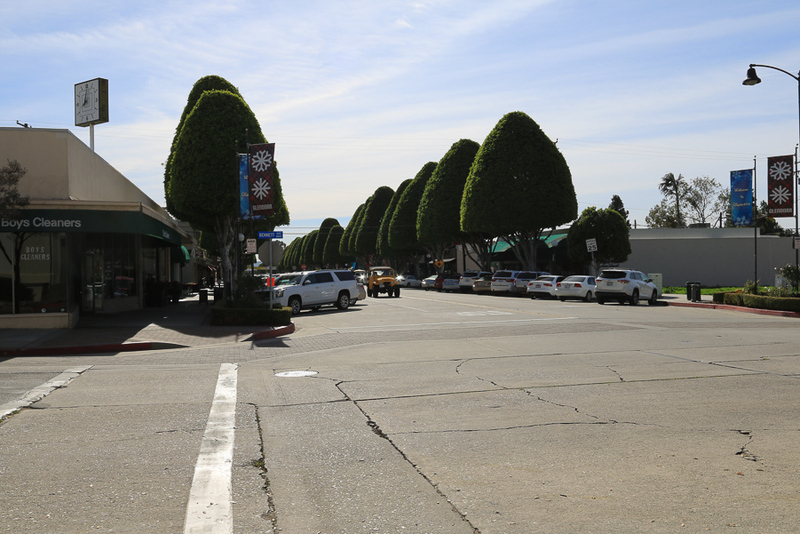 We were pleasantly surprised to see the sculpted trees in the downtown shopping area. 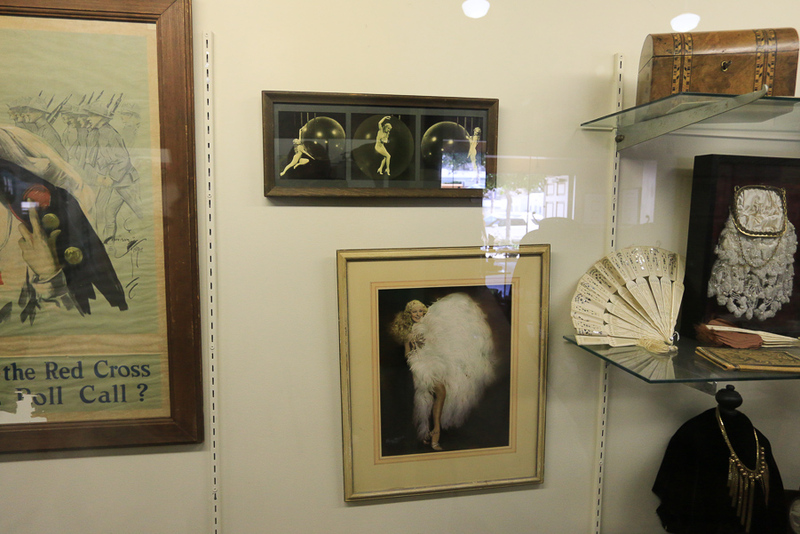 Sally Rand, the burlesque dancer famous for her fan dance, was a Glendora resident. 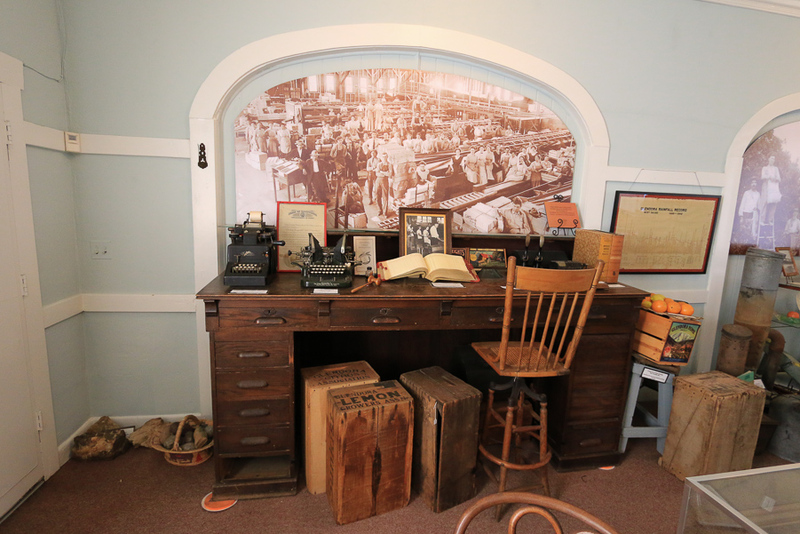 This beautiful, high accounting desk came from one of the packing houses in Glendora. 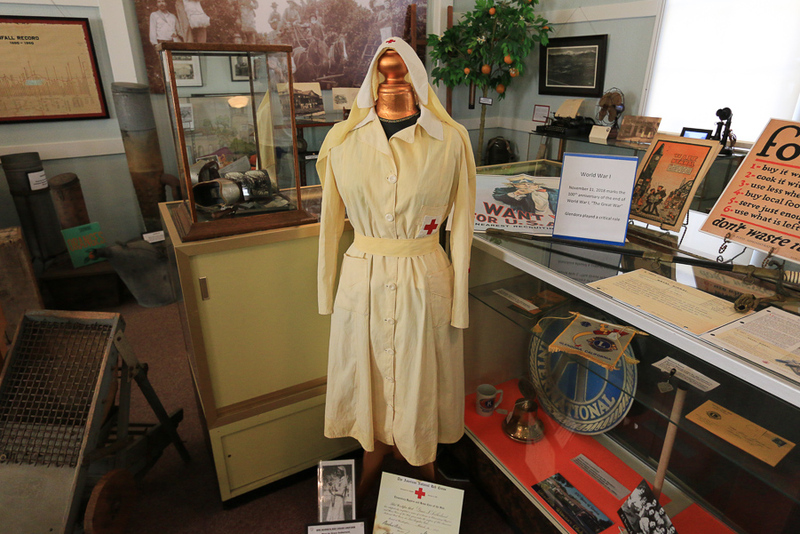 This is a well preserved WWI Red Cross nurse's uniform. 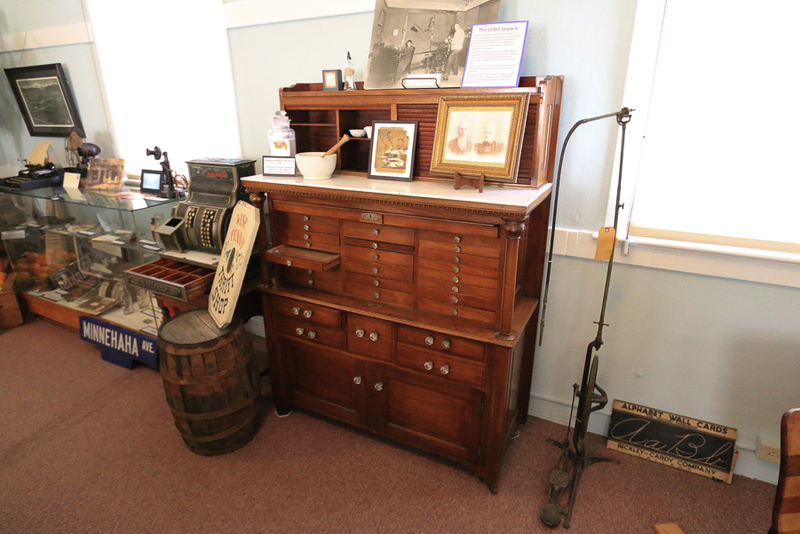 This is a dentist's cabinet that stored all his tools. 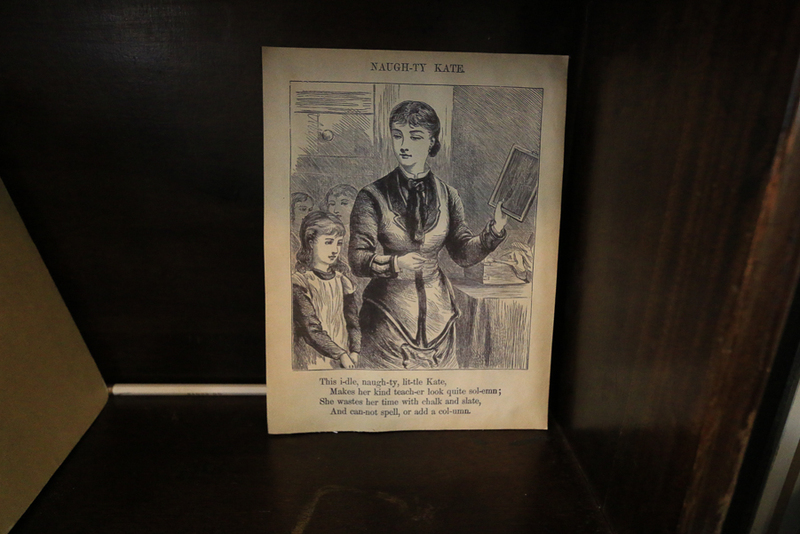 Notice the foot pedal drill to the right of the cabinet. 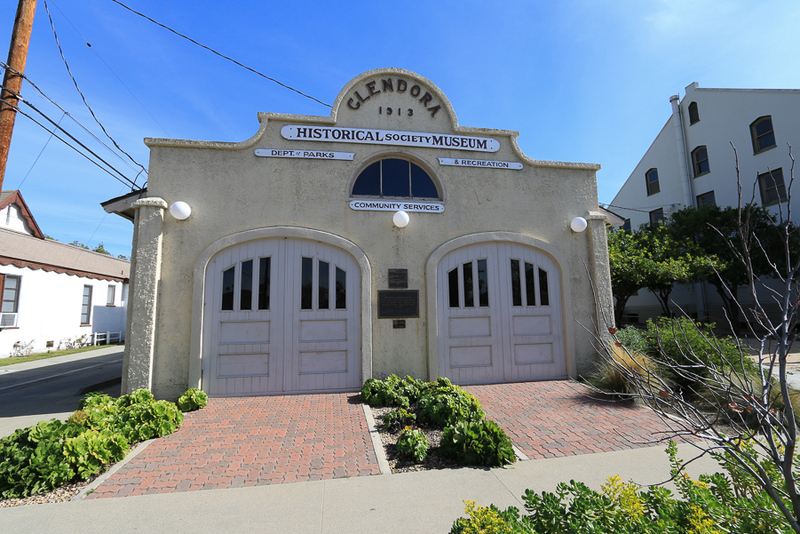 The original doors for the fire engines are now blocked up but still visible. 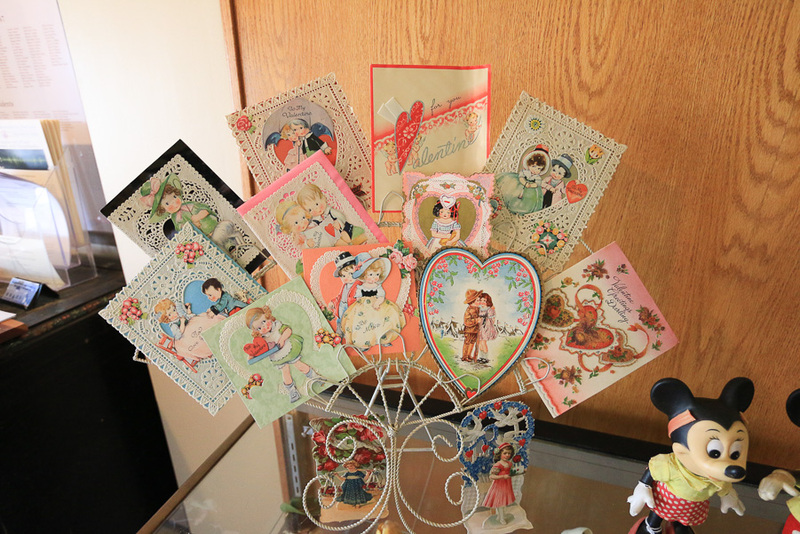 The museum is small, but it has a lot to offer to the visitor, like these antique Valentine's Day cards. 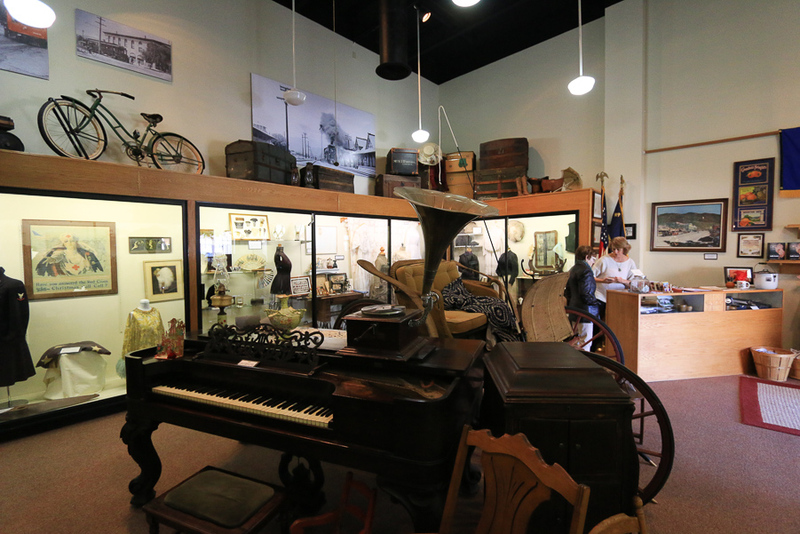 Before the Museum, we had stopped for lunch at Spaghetti Eddie's, which we loved on our previous visit last year. 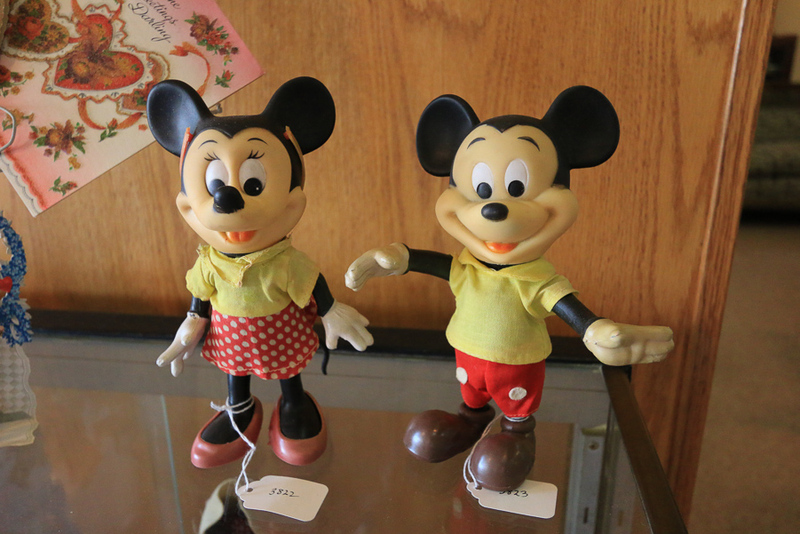 Judy had angel pasta with a Carbonara sauce made with sautéed Pancetta bacon, black pepper, Romano cheese and an egg yolk. 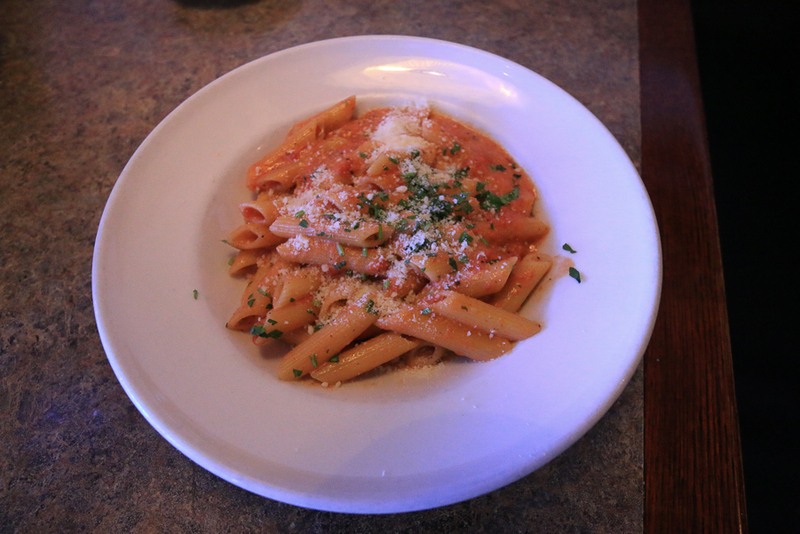 I had their "Crema Rosa" sauce on penne pasta. 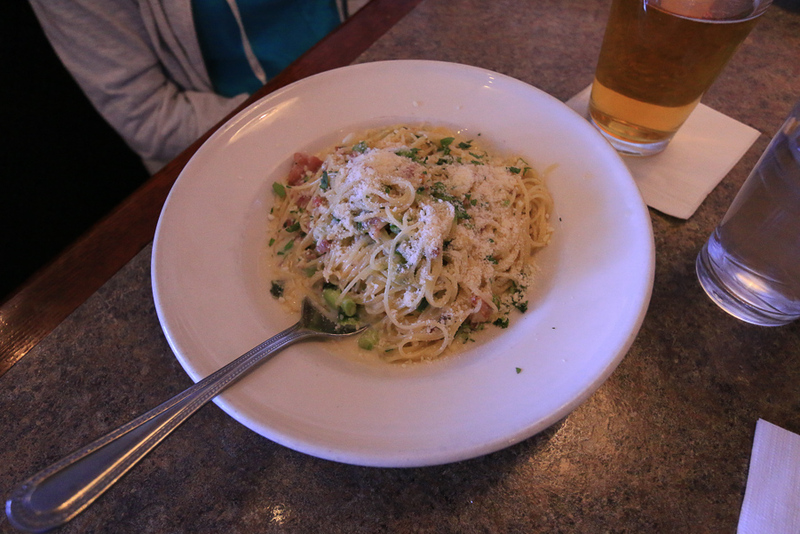 This tomato cream sauce is a combination of their marinara and Alfredo sauces. 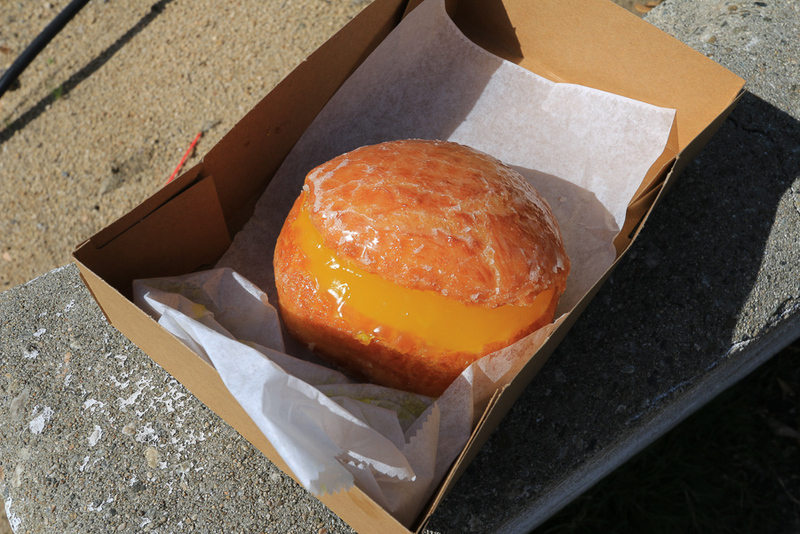 After the Museum we made sure to stop at the Donut Man before heading home. 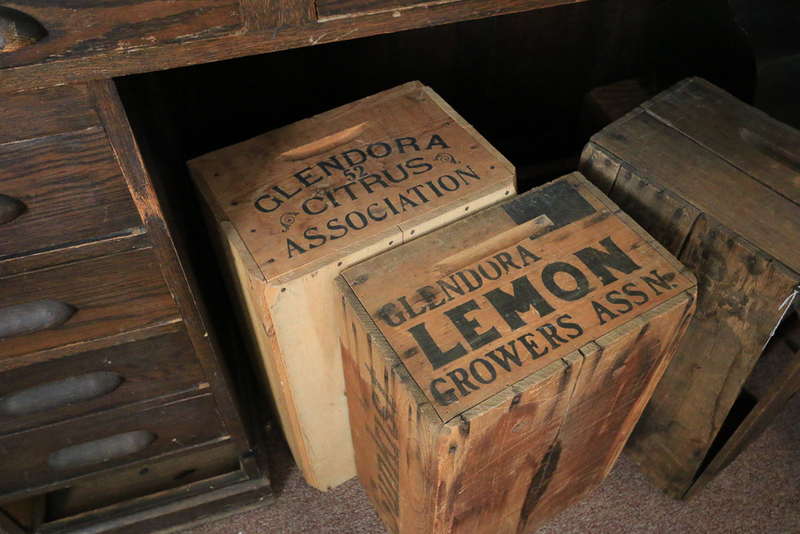 While we ordinarily get a strawberry donut here, today the glazed donut with a lemon filling caught our eye.